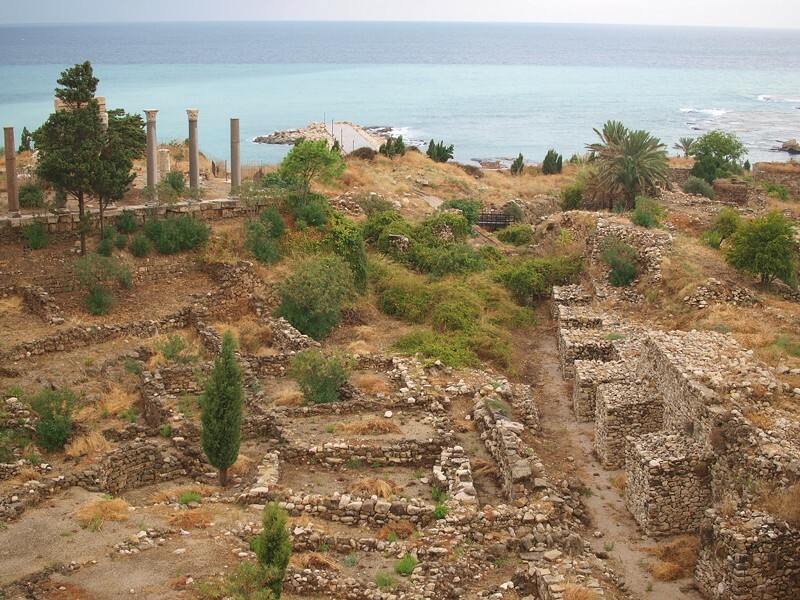 Phoenician port of Byblos, in present-day Lebanon. We may speak English the way we do because Semitic-speaking Phoenicians learned Proto-Indo-European, which they then passed on to their kids. Grimm's Law was a breakthrough in the young science of linguistics when Jacob Grimm and his fellow Dane, Rasmus Rask, first formulated it in 1822. (We know Jacob and his brother Wilhelm for their collections of European folk stories that -- in their cleaned-up versions -- have kept Disney in business for decades.) The law codified the first systematic sound change discovered in linguistics, addressing the differences between consonants in Germanic languages (such as English) and their Latin equivalents. The predecessor of Germanic languages, Proto-Germanic, is one of the many daughter languages -- Latin is another -- of Proto-Indo-European, or PIE, spoken by nomadic Yamnaya people around 5,000 years ago in the Balkans-Black Sea region. Linguists are only now coming come up with a convincing reason for Grimm's Law. The puzzle is that Grimm's sound changes aren't universal; Proto-Germanic is the only daughter language of the original PIE parent to exhibit this "voiceless-stop-to-fricative" switch. In fact, we can generalize the law to say that, if in other Indo-European languages there is, for example, p, you'll find an equivalent f in Germanic. So that while we have (non-Germanic Indo-European) Ancient Greek pous, Latin pes, Sanskrit pada, Russian pod and Latvian peda, we see (in Germanic languages) English foot, Frisian foet, German fuss, Icelandic fotur and Danish fod. Why? What happened to the Germanic languages that didn't happen to the rest of Indo-European ones? Maybe we should blame, or thank, the Phoenicians. The idea is that when speakers of a Semitic language (with lots of those sibilant f, th and h sounds) learned PIE from native speakers, they spoke it like all adult foreign language learners: with an accent. In this case, with their own "hissy" accent, which their children then learned -- and etcetera. So unlike the rest of the PIE daughter languages, which were uniformly transmitted "native-speaking-parent to child," Proto-Germanic appears to have undergone at least one "parent-speaking-a-foreign-language to child" transmittal. Phoenicians are the mostly likely "second-language-transmittal" candidates, because they were the best navigators, traders and explorers at the time when Proto-Germanic originated (between 2,000 and 3,000 years ago). We know Phoenicians gave us our alphabet (Field Notes, 11/19/2009). Now it seems fitting, if the theory's right, that they're also responsible for most of our consonants. Barry Evans (barryevans9@yahoo.com) lies awake worrying if his ancestry is pronounced Seltic or Keltic. His books are at Northtown Books and Eureka Books.